Beware!!! That’s the sign which you may have seen thousand times on various places keeping you alert from an obvious danger like “Don’t drive fast,” or “High Voltage,” or “There are dogs in the house.” It is always pleasant to know if there’s a danger coming your way so you can be physically and mentally prepared. Unfortunately, this is not the case when it comes to the cyber world. You won’t see any sign such as “Spammers Alert,” or “There’re hackers in this room,” or “NSA agent 420 is tapping your phone conversation”, we had to get ourselves ready and prepared to counter these threats without getting alert in advance. The most recommended and highly trusted method to keep your digital world secure is a VPN. Edward Snowden himself advised internet users to connect a best VPN service before going online. Today we will discuss how one can select the best VPN service from a shelf of hundreds of different names. Before digging the dirt from what VPN is and how one should select the best VPN service from never-ending options, let’s us present to you the five top VPN services for 2018. We crafted this list after testing the top 50 VPN providers of the industry. Choosing a good VPN is not an easy task. 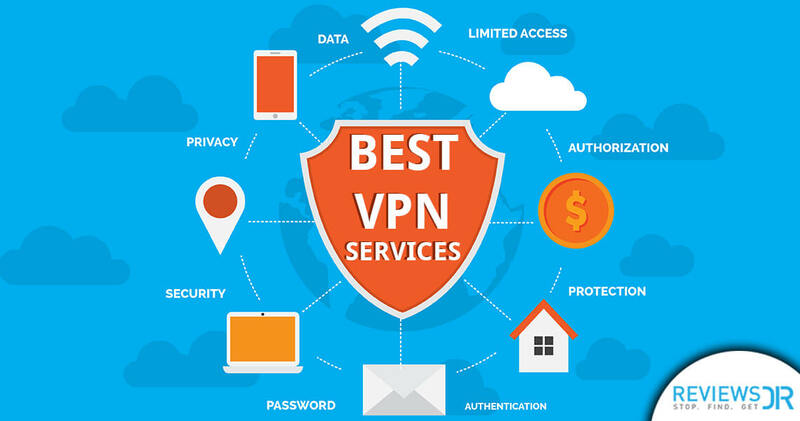 You need to take multiple factors into consideration to count a service provider as the best VPN service; here you will find a brief review of the best VPN services that our experts have picked for 2018. ExpressVPN is a top-notch VPN service provider that has been helping zillions of Internet users to protect their privacy online. From a tech-savvy to a newbie, ExpressVPN has the solution for all type of web users. 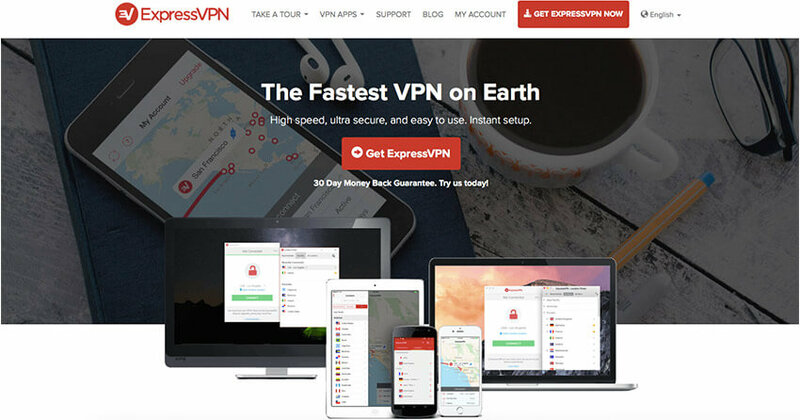 It comes with all the remarkable features to exceed our expectations, hence we are giving ExpressVPN a perfect spot on our list of best VPN services. Be it accessing foreign content or protecting your communication online, ExpressVPN has covered your back 24/7, and they serve it well! 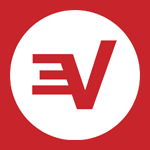 ExpressVPN comes fully-loaded with incredible features that are a big deal. The company has wide-range of servers in over 94 countries which gives netizens more options to switch between regions and get faster speed. It has a smart-VPN software that helps you pick the fastest VPN server for optimum performance. Advanced features like Split tunneling, Kill switch, and DNS leak protection makes ExpressVPN an ideal pick as the best VPN service to buy. People who are looking to get over from the GFW would love to use ExpressVPN. It has special ‘Stealth’ servers deployed in Hong Kong ideal for netizens to short-circuit regional restrictions. Whatever the device you own, ExpressVPN has native apps for almost all of them. In case you don’t find an app, you’ll surely find the VPN compatible anyway. This top VPN service doesn’t cap on bandwidth and speed – you can enjoy unlimited hours of entertainment with foolproof protection with ExpressVPN. One of the premium features of this best VPN provider is that it doesn’t keep logs of your activity. ExpressVPN is also P2P friendly, and their servers are fully optimized for downloading purposes too. You can use up to three devices at a time with ExpressVPN account. It also comes with a 30-day money back guarantee which is indeed a convincing outlook. And of course, ExpressVPN is famous for its world-class customer support which works day-and-night to help you with anything you need. 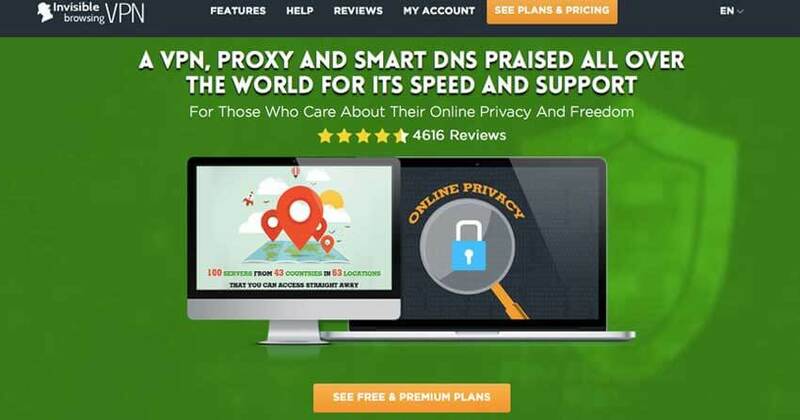 So try this best VPN service today with a money back guarantee in case you don’t like it. 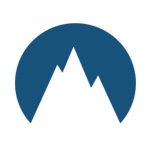 NordVPN jumps on the bandwagon of the Best VPN list, being a top of the line VPN service provider, NordVPN give maximum privacy on the web. It provides what every internet user demand; confidentiality while browsing the digital network! Launched in 2012 by four individuals who wanted to counter censorship, NordVPN chooses Panama as its headquarter. The decision was made because Panama internet laws allow users to enjoy ultimate log-less protection and surf the web anonymously. If you want everything in the palm of your hand than this VPN is the perfect fit as it encrypts the internet traffic, which so far is a threat online, if not handled precisely could do some severe damages including hacking and cyber blackmailing. Unlike other VPNs NordVPN is among the few offerings with strong Encryption up to 428bit that is capable enough to secure the entire lot of your internet traffic using army-ranked protocols which is why it is the best VPN provider by far. What’s intriguing? A VPN usually offer 2 to 5 multi-logins, but Nord is among the best VPN providers that offer up to six multi-logins regardless of the package chosen. Advanced features like bypassing sophisticated firewalls such as the Great Wall of China through back doors or get double protection adding an extra crust to security, Double VPN, ‘Kill Switch,’ ‘Onion over VPN,’ and ‘Smart Play,’ NordVPN stand out as the top VPN service. It also comes with a ‘30-day refund policy’ with no hidden conditions guaranteed. However, it’s advised not to buy through the Google Play Store or Apple Store as the company policy states it cannot be refunded through those purchases. Moreover, the package is pricey having three packages, but it’s worth every cent and a good long-term investment. That is why it’s on the list of top VPN Service provider so far. NordVPN is the only VPN provider in the industry that offers the most number of features in its package plans. In the above given description it’s impossible to describe all the features of NordVPN. So, we have tested the service and compile a brief review of NordVPN for your assistance. 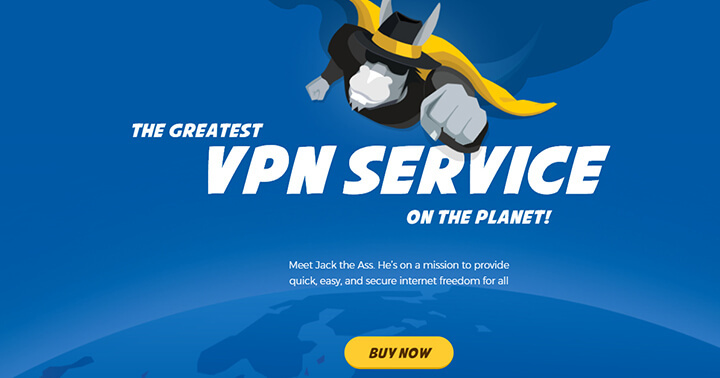 The name itself doesn’t give a positive vibe to the VPN, but its services are off the charts. Being in the VPN service industry for more than a decade it has seen ups and downs in the business. The company offers more than 840 servers across 190 plus countries making it the top VPN service provider with the largest VPN network and an excellent, straightforward interface. Excellent service, but tempered by license issues and some thought-provoking logging policies. Apparently, a free trial is not available, but the regular prices are minimal for a premium VPN service at $10 per month with a 30-days refund policy. When it comes to security HideMyAss blocks, all DNS and WebRTC leaks, making your real identity completely anonymous. HMA offers the biggest network in the industry but there’s more to its services which you can find in our comprehensive review of HideMyAss. Based in the US, IPVanish has always been a shady VPN for claiming no-log policy. However, it has performed very well in terms of providing constantly fast speed. It has combined a perfect selection of shared and dedicated IPs, making it in the list of best VPN providers. It offers 40,000+ IPs from 700 servers deployed in 60 different countries. According to the speed test, we conducted for IPVanish, it provides comparatively better speed then many other VPN providers. It is due to the fact that IPVanish rents tier 1 servers for its network making it exceptional. The features include Kill Switch and DNS Leak Protection allowing the subscribers to stay protected without leaking the real IP address or attracting shady traffic. IPVanish also introduced SOCKS5 proxy server which acts as a mediator between your computer and the internet, as a bonus, all traffic will be appearing from the proxy servers IP address and your IP address will be kept hidden. IPVanish offers OpenVPN protocol support, the best and highly recommended VPN encryption available in hand today. What keeps the subscriber’s attention retained, is the info-graphics it provides that keep things happening and worthwhile. 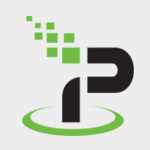 Keeping aside self-promotions, the website itself provides extensive in-depth analysis of IPVanish services and features. Control panel and design are framed in a way making it user-friendly and easy to scroll avoiding hassles. For online gaming and video HD streaming, IPVanish is bizarrely fast creating an excellent lag-free experience for gamers. The Setup guide is provided for routers, and it includes devoted Apps and installers of all major platforms, including apps for IOS, Windows, and Android. In general, the setup guide is simple and easily understandable. Owned by GZ Systems Limited and being located in Hong Kong, PureVPN has entered in the industry almost a decade ago. The VPN itself is equipped with full-featured services. That aside, the VPNs logs are questionable since that aspect is a big problem. Users who require multiple servers, PureVPN could be a vital choice as it gives you access to servers in unusual locations with the availability to connect up to 5 devices at the same time. Furthermore, a VPN isn’t worthy if it doesn’t increase the satisfaction of user experience allowing multiple features at the click of the button. That’s where PureVPN is the best VPN service. It has designed features to efficiently improve the overall experience with the use of ad blocking, URL filters, App filters and antivirus protection and many more. Best of all, it notifies you instantly when you are connected to an unsecured WIFI connection and offers a VPN service immediately to avoid privacy concerns, which by far is a unique feature. Sign up is easy with just a name and email being registered. Nonetheless, it acquires your details through the payment method, so it’s nothing exceptional, only reduces the efforts. Streaming appears to be faster than usual, and the apps are customized for different software including IOS, Android and Mac OS, also supports protocols that are manually set for multiple devices including routers. In a gist, PureVPN is a great functional tool with smart and loaded features. However, the real question arises with the hiding of the IP address. It’s quite average and doesn’t please the internet user, but with a large number of servers being provided, it’s among the top VPN Service out there. Don’t you want to know the matrices based on which we have handpicked these 5 best VPN providers and crowned them as the top 5 players of the VPN industry? Well, here’s a glimpse of what we have tested and judged in a VPN service and why we picked these VPN providers. How We Picked and Tested Top VPN for 2018? Our assessment criteria is simple! We endorse the VPN provider, which supersedes on all the points of choosing a VPN. Our VPN reviews do not come in a spur of the moment but accompany a slew of considerations. After all, we would recommend you only the best VPN. We test the VPN for speed, connectivity, and accessibility of websites on different server locations and from various IP addresses it offers. Besides, we also test the VPN for best performance on different IP devices, operating systems and across multiple browsers. Once we are completely satisfied with its peak speed performance on all the platforms, we recommend it to you. This is the above criteria we followed while drafting the 5 top VPN services for 2018. We run our tests every month on selected VPN providers to check if their performance is up to the standards. We also do keep a check on what customers are talking about the listed best VPN services. We listen to their concerns and try to help them in the best possible way. If any of the services fail to comply with our tests, then we reserve the rights to change our rankings based on the recent tests and results. VPN has countless uses and there are hundreds out there in the market. From the use cases to install a VPN on your device, our guide aims to answer all your questions. Just follow and click on the relevant topic below and learn from the experts. Chapter 1: What is a VPN and How It Works? Chapter 2: What Are Different Types of VPN Service? Chapter 3: Is VPN Easy-To-Setup And Feasible To Use? Chapter 4: Is VPN Easy-To-Setup And Feasible To Use? Chapter 6: Are VPNs Safe to Use? Chapter 7: What VPNs You Should Never Trust – And Why? Chapter 8: Do The VPN Providers Keep My Activity Logs? Free VPN VS Paid VPN – No Surprises Here! Chapter 10: What Is VPN Actually Most Used For? Chapter 12: Top Reasons Why Use of a VPN is a Must in 2018? Chapter 14: How to Test If My VPN Service is Working? How about learning to test the speed of your VPN? Chapter 15: The Magical Uses Of A VPN That Most Of Us Don’t Know About! Chapter 16: Which of The Best VPN Providers Have Browser Extensions? Security: If it doesn’t secure your online privacy and security, then what’s the point of getting a VPN? Features: If you’re investing in a VPN, you would expect it to provide features like Internet kill switch, split tunnelling, military grade encryption etc. Customer Support: Do they provide live chat option? Do they have an efficient complain resolving mechanism in place? Supported Devices: How many devices and logins does it support? Does it support the device on which you would be utilizing it the most? These are just some of the points to consider before buying a VPN service. But here’s our complete VPN buying guide which discussed in detail the subject matter. Technically there are alot of things that you should consider before giving the title of Best VPN service to a particular brand. Here’s the list of all those technical aspects and features. Yes. VPN providers have support across all major mobile devices. However, not all the VPNs are totes reliable. 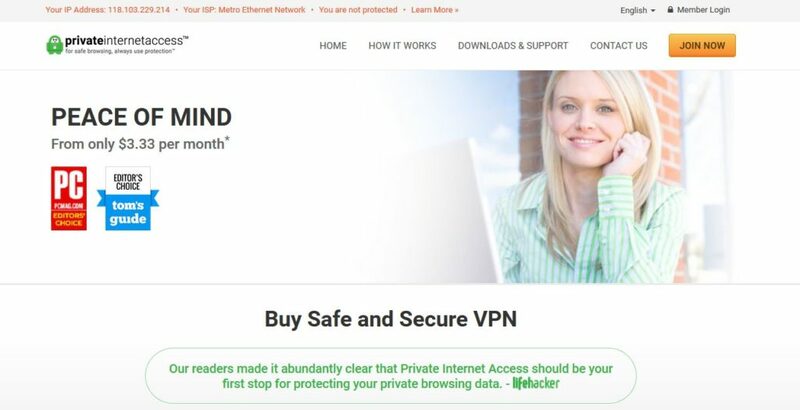 The primary purpose of a VPN is to secure users’ activity on the Internet by making a secure connection. With many VPNs do aim to achieve this goal, there are plenty of mobile VPN providers that fail to secure user’s privacy and end up causing serious damages rather than protecting. Australia’s Commonwealth Scientific and Industrial Research Organization did an in-depth analysis of over 283 VPNs and found strong security and privacy limitations in the majority of the VPN services. Researchers also found that VPN providers although mobile VPNs create a private tunnel for outgoing traffic, but fails to encrypt the activity in parallel. Which, however, exposes the user and makes the connection easy to breach. This states that having support for Mobile is not enough for a VPN to be qualified for a best VPN service. We should always check if the service provider is meeting all the standards, else we let them risk our privacy. Choosing a reliable Mobile VPN is a must here, and not don’t just fall into the traps of free or cheap services. Cheap VPNs are fine, but we advise to always go with trustworthy VPN providers like ExpressVPN, NordVPN, and HideMyAss who never compromise on quality. Desktop computers and laptops are always on the list of hackers. With increasing cyber attacks reported on personal computers, It is becoming a dire need for netizens to use a VPN. Laptops being more vulnerable due to its portability and ease of use. People use laptops on public Wi-Fi networks for work purposes and while they are on the move, which makes them vulnerable to data snoopers. Also, desktop computers and laptops are exposed to malware and another type of viruses which puts sensitive information of a user at risk. The best VPN service installed on your PC or Laptop would prevent all such risks and let you access the web without worrying about the worst that could happen. But yeah, not all VPNs protect you 24/7, so the selection of VPN provider is also outstanding as you can’t afford to risk your personal information, right? We recommend the use of top-notch VPN providers only as your privacy and security comes first always, and should never be compromised. Below we are suggesting best VPN services for desktops and laptops. Our guide VPN for Mac will further enlight the risks you can have with Macintosh computers and how to deal with them. If you are using a Windows laptop or PC, then check our guide on how to protect your laptop with a Windows VPN. We often hear people saying — VPNs slow down the speed of Internet connection. It’s a Myth only! Well, we do understand that VPN routes all your traffic through a secure tunnel which is placed in another country, but speed spikes are not the only reason for it. The speed of your VPN connection has a direct relation to the speed and bandwidth of your Internet (ISP). If you are on a weak network, then you can never get right speed with VPN. Also, server selection and protocol selection also plays a vital role in improving the speed of your connection. With small tweaks in your VPN settings, the speed of VPN can significantly increase. We rede you to check our list of fastest VPN and learn how you can optimize the speed of VPN. One of the many reasons people choose to use a VPN service is to access streaming websites like Netflix, Hulu, BBC, and many others.. These streaming networks have geographical restrictions — Netflix has limited content for everyone except those living in the US, while BBC iPlayer is only available for UK residents. With all such regional restrictions, a VPN is heavily in demand to give access to streaming lovers irrespective of their location. Though there has been a series of crackdown on VPNs, thanks to the engineers, who are working hard to come up with the right solution. Our readers often ask us what is a workaround to Netflix crackdown — and we always try to give them our best recommendations. We have already tested over 100 VPNs to see which one works best for streaming. Out of those, we have found ExpressVPN and NordVPN the best match for streaming lovers. You may check other best VPN services on our list and compare them before you make a purchase. Every day torrent users not only look for seeds and leeches while downloading torrent files. They are also much concerned about the speed they get while downloading and level of security they have. To achieve all these, they sought for a reliable VPN service that can anonymize their sessions. Unfortunately, not all VPNs provide highly encrypted sessions, which can be a severe threat and jeopardize their privacy. AES 256-bit encryption protocol is something that makes the meetings private making no third parties to snoop on your activity. We have covered a detailed post on best VPN for torrenting where all the test results are available for you to see the top VPN providers in the league. A part of the encryption protocol, it is also essential to check the logging policy of the service provider. Many VPN services provider Kill Switch and DNS leak protection features that are best for torrents. Apart from encryption and bypassing IP restrictions, there’s a lot a VPN can do to offer its users incredibly secure internet connection without compromising the real internet speed. These features are the actual trademark to differentiate a best VPN service from an average VPN service. Let’s have a look at some of the most talked-about features that a best VPN service should offer. Internet Kill Switch VPN: VPN is foremost a security tool designed to keep its users anonymous and secure. How about if VPN can guarantee the same protection even if it is not running? Don’t be a surprise, with the newest innovation and technological advancement; the feature has already been introduced and called ‘Internet Kill Switch.’ Internet Kill Switch feature protect your internet connection even when your VPN connection drops down. If you enable this option, and accidentally your VPN connection stops, Internet Kill Switch will shut down all internet activities until VPN connection restores. The feature was introduced after the prospect of cyberwarfare back in 2000. It was meant to kill internet connection for certain websites and domains in the USA. Later the technology was adopted for good by the VPN providers. Split tunneling is a networking concept which allows a user to access different security domains like a public network (the internet) and a private network like LAN or WAN at the same time via a similar or different network connection. Split Tunneling In VPN Apps: VPN providers adopted the technology and introduced it in their apps to allow users to divert most confidential traffic via secure VPN tunnels, and utilize the fastest speed of their internet connection for less important work like streaming a movie or listening to music. Split Tunneling can be done based on two different methods, either by dedicating one browser for internet traffic and other for VPN, or by limiting activities only to be accessed by VPN. 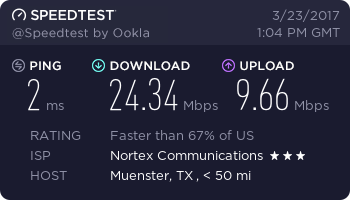 The biggest benefit of using ‘Split Tunneling’ feature is that user can get full advantage of its ISP speed without letting the entire traffic pass through the VPN servers. DDoS is a Distributed Denial of Service attack which is used to make an online service or e-commerce website unavailable for users by overwhelming it with traffic from multiple sources. The attack can be targeted to any service or website from banks to online stores or magazines for stopping them to publish important information. DDoS Protection by VPN: DDoS attacks are rapidly increasing over the past few years, hackers and competitors conduct these attacks to harm businesses and individuals. DDoS attacks are also targeted to increase latency for online gamers. According to a research conducted by the Ponemon Institute, an average DDoS attack can cost $22,000 in one minute, whereas it took at least 54 minutes to get the infected site up. A DDoS protected VPN helps to identify the source of traffic and doesn’t let the unknown traffic to your servers. Double VPN is a process of chaining VPN servers to get double encryption that allows hiding your online activities behind several servers via a single VPN tunnel. Only one or two VPN providers offer this extremely secure feature including Nord VPN. So far, just Nord VPN has genuinely delivered Double VPN feature in its Premium plans. The Onion Router (Tor) is a free network consist of voluntarily-operated servers, which are randomly selected to send and encrypt your traffic across various exit nodes located at different regions and finally to your desired destination. The Onion Router (Tor) in itself is not secure as the starting and ending node is always vulnerable to online hacks. But together The Onion Router and VPN provide maximum online security and privacy while browsing the web. This feature is also not very common in the list of VPN features, and only a few VPN providers such as Nord VPN provide this feature. All the features listed above are most advanced and highly secure. If a VPN provider offers even half of the features, it can be considered in the list of Best VPN services. As you have already read about our top five picks from the industry and how we selected them It’s time that we would like to educate all our new readers, who are still unaware of VPN technology and wants to know more about it. If you are a freedom or privacy seekers, and you are looking to know more about VPN and how to use this technology to keep the hackers at distance or avoid unnecessary restrictions imposed by governments, you are at the right place. So, shall we begin? As we explained above, VPN works in a simple fashion. It routes all your outgoing activity in a secure tunnel that protects you from any unwanted risks. All the VPN providers have widespread servers across the globe which gives you enough freedom to bypass geo-restrictions of any kind. A fair example we’d like to add here is of BBC iPlayer, which is only available to people living in the United Kingdom. With a VPN, you can simply change your location to the UK (with one click), and you can watch BBC iPlayer online even if you don’t live in the region. With so many security and privacy tools available online, users tend to confuse which one provides a complete solution. We have heard about Tor, VPN, Proxy and Smart DNS, so below we will discuss each one of them in detail. Of course, we give all our recommendations to best VPN services, and you’ll get to know why! The above chart exhibits that VPN service gets the upper hand in the game. We are not against the other alternatives discussed above, however, if you are serious about privacy, then opting for a top VPN service would be a smart move here. Having access to all the online resources and content, no matter where you are and what sort of network you are connected to has become a way of life for almost all of us. Whether you are a businessman or an individual student, or a journalist, or a traveler who needs to stay in touch all times, and a VPN do just about it. But which VPN suits your need the best, it’s all dependent on your requirement. Apart from the uses and features of a VPN, we also should consider knowing the types of VPN before deciding on buying a VPN. It will help us to invest the right amount of money in the right kind of the VPN. There are two types of VPN in the market. Remote Access VPN connects a user to a privately owned network, may it be centralized head office or home network, remotely. The connection between the user and the network established via the internet and is secured by encryption. Remote-Access VPN is used by businesses and corporations where remote employees have to access intra-net of the main office. A typical example of Remote-Access VPN is a salesperson who can fill his weekly sales report in a sheet shared on a centralized application which he can access anywhere while traveling or sitting at home. A Site-to-Site VPN is also called as Router-to-Router VPN and is mostly used in the companies with an office at different geographical locations. In this type of VPN connection, two or more site locations are linked together to create a cohesive virtual network. An employee in one place can access the resources of other locations and feel working in a single local area network. Similar kind of VPN is also used by individuals and students at the university to bypass restrictions. The above is a standard procedure to install a VPN on your PC or mobile app. As we mentioned earlier, every top VPN company do have native apps, however, in some cases, you may need to configure the VPN manually. You may also find details of manual setup on provider’s website as it may require certain prerequisites to follow in the process. To give our readers a fair comparison of the top VPN service providers, our team has came up with a comparison chart. The following chart will compare all the best VPN options on certain criteria to help you compare each of them. The above chart doesn’t cover in-depth details of the VPN service. You can jump to our best VPN section to read more details on it. Before we answer this question – we would like you to ask yourself why do you need to use a VPN? Your usage defines how safe a VPN can be. In general, all the best VPN providers in the industry use strong encryption protocols that are good enough to protect your online privacy. However, VPN providers do keep a check of your connection logs to make sure that you’re not involved in any illegal activity. Though VPN services are entirely legal and run by reputation, none of the VPN company would let anyone use it for illegitimate activities. You really need to be very careful when you are looking for a reliable and best VPN service provider. The above will give you an idea if the selected VPN is safe to protect your privacy. You may check our top-rated VPN list of logless VPN services, where you’ll find more details on what needs to be checked before you buy a VPN account. And always be cautious when you think of using a free VPN service as safety is not guaranteed at all with free accounts. Also, your data can be handed over to thirty parties anytime. On this same subject, we have got a brilliant answer from one of the community member on Quora. This sums up everything. VPN is a security solution designed to keep users data safe and protected from online theft. We have already discussed the uses of VPN so without going into further details, let’s have a detailed analysis of what kind of VPNs we should not trust. Is Your VPN Operating From USA, UK, Canada Or Australia? VPN providers usually don’t disclose their original location of the business. Most of the VPN providers are operating from one country and registered from another. There’s no way you can ever identify the real location of your VPN provider. Then who you should trust? You can find the name of the VPN providers’ registered country under ‘About Us’ section. There you can also check the country from where the company is registered. If VPN provider is registered in USA, Canada, UK, Australia or any other country that lies in the list of 5Eye, then run from it as fast as you can. All countries listed in 5Eye including USA, UK, Canada and Australia have very strict data retention laws, which means that one way or another, your VPN provider is not only monitoring your activities but also handing it over to the government agencies. The highly recommended location you can trust is Malaysia, Hong Kong, Romania, Netherlands, and Singapore. Is Your VPN Really Maintaining ‘No Log’ Policy? There is no way for you to verify that your VPN provider is keeping logs or not. How can someone judge is the VPN provider claims of ‘No Log’ policy is true when recently we have seen that PureVPN has handed over one of its users’ data to FBI. Previously, Private Internet Access was accused of same allegations. The conclusion is that none of us can judge this feature of a VPN provider, nor can we trust them. But we can stay away from VPN providers who have broken the trust of millions by handing over personal information to authorities. You can quickly get more information by searching on forums and communities. Is Your VPN Not Accepting BitCoin/PaysafeCard/Gift Cards? If your VPN provider doesn’t include any Cryptocurrency in their payment method and doesn’t offer payment via Paysafecard or Gift Cards, then you have no other option but to give out your financial information to the VPN provider. Only VPN providers that offer BitCoin as one of the payment modes can be considered as a privacy concerned VPN services. So, always trust a VPN service that provides one of the methods above for payments. Is Your VPN Offer Extra Security Features? Double VPN, VPN Over Tor, Double Encryption, IP Leak Protection, etc. are some of the listed security features that we have already explained above. These features set the standard for a VPN service and it shows how much the VPN provider is concerned about securing its user’s data with advanced security features. If your VPN service offers none of these features, you should better switch to another VPN provider before it can ruin your digital life. Millions of netizens across the World use a Virtual Private Network a.k.a VPN to protect their personal information online. Privacy is among the biggest concern that engages them to use a VPN. What if say that not all VPNs fulfill the promise of keeping your browsing anonymous? Scary, right? Well, that is truth we have to accept and we need to be very vigilant with our choice of VPN. Though every other VPN claims to keep ‘No logs’, but it turns to be marketing pitch only – we found many VPN companies that keep, and share your logs with authorities. We do want to mention that VPN shouldn’t be used for any illegal activity, and we support it. However, privacy of users shouldn’t be compromised at all. Back in 2011, HideMyAss VPN was involved in LULZSEC FIASCO where the company handed over the logs to agency over hacking allegations. In 2017, another top-notch VPN provider, PureVPN was also involved in handing over log details to FBI over alleged cyberstalker. Both these cases were sensitive, and the companies stance were right too. However, we still believe that privacy of customers should never be compromised. In our best VPN selection process, we made sure to verify the logs policy also for all the listed options. Based on how strict the policy is, we listed the top VPN providers. Below are the best three VPN service providers that keep no logs. You may also check our blog of best anonymous VPN providers to see what other companies are strict with the log policy. Free stuff is tempting for sure, but when it comes to free IT services, or more specifically VPN services, we all have to agree that it would be a naive or more bluntly, a foolish move to avail the services for free. Why? 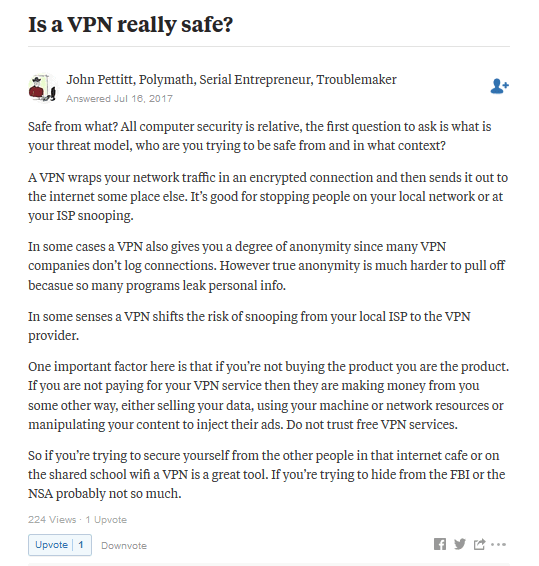 Because many free VPNs are notorious for selling their users’ data and just can not be trusted with your personal details. VPN Protocols – The Gateway To The Online World! Which Door Would You Choose? This should not come as a shock that most of the free VPN services utilize PPTP VPN protocol which is declared the unsafest protocol. Even, new iOS versions doesn’t even support PPTP protocol anymore. In paid VPNs, you have an option to choose from myriad of protocols which vary with the level of encryption they provide. Protocols like, OpenVPN, L2TP, SSTP, SSH etc are famous for the level of encryption and security they provide and are mostly available in top-tier paid VPN providers. Speed – Because Nobody Likes To See That Loading Icon Anymore! Free VPN means that the servers would already be flooded with the traffic of freeloaders which means that the bandwidth is affected big time, and because high-tier, fast and dedicated servers come with a cost, you’ll mostly be on the slow side of the internet. Paid VPN providers invest on their server maintenance and ways to improve the bandwidth allocation among their users, so, 95% of the time, you get fast VPN connection speed with a paid VPN provider. Let’s assume you’re taking a shower and suddenly, your house becomes transparent and everything is out in the open for everyone to see? That wouldn’t be a pleasant sight, right? An embarrassing one for sure. This is what happens online when you’re under the protection of a VPN and suddenly, you get dropped from the secure VPN tunnel and appear right in the open. Your IP address becomes visible and your online activities are not safe anymore. Well, free VPNs are notorious for this as they mostly don’t care about the security and privacy part that much as most of the users still use it as a proxy. But, paid VPNs are reliable and trustable in this matter too as most of them offer their own tools or recommend third-party tools to rectify such incidents. Free VPNs doesn’t normally offer any support because support comes at a cost and if you’re really expecting any proactive support from any of the VPN provider than you’re living in a fool’s paradise. Most of the VPN providers offer live chat support and ticket-based complaint monitoring system that is religiously monitored. So, there is again no doubt that a paid winner is a clear winner. Most of the free VPN servers offer no more than 5-10 servers because that is what you get for free, which is LESS! More servers means more money, and who’s going to bear all the cost if you’re not paying for it? Paid VPNs on the other hand offer hundreds of servers of different countries keeping in consideration the varying demands of their users or Paying Customers. So, to get more, you have to spend more. In this case too, Paid VPN aces above all. VPN was initially designed to connect remote office from different locations to the head office. Later the technology developed and more features were added making it one of the best solution to protect online data and bypass restrictions. There are two main purposes of using a VPN. No! When you log in to a VPN service, all the requests that are going out becomes anonymous. However, it is entirely dependent on the VPN service provider also to have necessary checks enabled on their VPN servers. All the best VPN providers use standard 256-bit encryption that will not let any ISP detect your original identity. Hence, you become completely anonymous when you turn VPN on. There is also an advanced feature called ‘Internet Kill Switch’ which majority of the top VPN providers offer. This feature comes in real handy when there is a connection interruption. In such an event, the feature keeps hold of the information going out and only transmits information when the connection is back on VPN. This turns to be one of the prime features that best VPN services have to offer as it adds another layer of protection and privacy. In our VPN reviews assignment, all our experts have taken this point seriously to see how the VPN service provider responds to this request. On top of that, always use best VPN connection when you are connected to a public Wi-Fi network. A VPN will make all your browsing activity encrypted, so you can enjoy Free Internet without worrying about the data leak. Thinking Balloon’s Alert! If you are still confused why you should use a VPN, then here are some facts and substantial reason to make you believe that VPN is like oxygen for your digital life. The users of VPN are from all walks of the life, and they are increasing day-by-day. While a big chunk of people relies on it to watch the censored entertainment, still many use it to give their professional work a more secure touch. The coterie of VPN best users hence includes local and international travelers, online banking users, expats, cloud storage users, VOIP users, and more. The best VPN service could help you remain connected to your company’s online group so that your business may not suffer while onboard. If you want to keep your browsing sessions private, without enabling the internet service provider to log your details, the best VPN services could work actively in this regard. As already mentioned, entertainment mongers who can’t live without the daily dose of ‘The Game of Thrones,’ ‘Gossip Girl,’ ‘The Goodwife,’ ‘Bargain Hut’ over Hulu, Netflix, BBC iPlayer, VPN is the best remedy. The craze of new seasons of all these any more shows keeps binding the connoisseurs to their computing devices. However, in a foreign country where such sites are censored, they are likely to miss such favorite shows. Thankfully, with VPN, they can continue rejoicing their programs, immaterial of their location. If you are also among any of these and still looking out for a reliable source to access the censored web, it is high time to contact a best VPN provider. It keeps you connected to the world and lets you communicate to your dear ones when it matters the most. The year of 2017 has left a lot of mysteries unsolved like Wanancry Ransomware and much more. It is highly speculated that the year 2018 would be much more disastrous. We have already discussed many reasons why the use of a VPN service is a must now. However, during the process of reviewing the top VPN services, we have found top reasons why you shouldn’t ignore the use of a VPN service in 2018. You have to be aware that it is after all the question of your privacy and you would like no one to breach it through anyway. Your VPN provider is your best companion in safeguarding your identity and giving you the online freedom you deserve. As we all know that the risk of online identity theft is increasing day by day, hence, it is a smart move to keep all corners secured and not to allow anyone breach your privacy. We all are binge-watchers in our way, and global restrictions on VoD content is not a new thing. Since we are always on the move, catching up the latest of our favorite TV shows and movies is difficult. With best VPN service, we can have the liberty to access everything on the move and to bypass all the geo-restriction that halts us to access content away from the borders. When you are on a VPN connection, binge-watching Netflix, HBO, Hulu and hundreds of other VoD channels is just a click away. There is a big risk of privacy when we connect to public Wi-Fi in the malls and at café, but we all love it! With a VPN service enabled on your mobile devices and OS, your public sessions will become private, and you can enjoy the free perks of public Wi-Fi with infrangible VPN security. Your email address is protected and you can do financial transactions with your credit cards without worrying about anything. To succeed in business, market research is of high significance. But to perform it, you need to check out your competitor’s website, which is ok if your visit is not logged at the IT front of your opponents. Here it is important to know that all your visits on the landing page of other websites can be logged through your IP address. Moreover, the site owners nowadays prefer using Google Analytics to track the geo-demographics. Hence, if you do not want your close competitors to know about your visits to their sites, perhaps approaching a VPN provider would be an apt solution. Google keeps a record of each of your searches through your desktop or mobile phones. It does alarm you with humongous agreement pages at times, but you have no option but to approve the request by clicking on ‘Yes.’ However, instead of free services, it takes your valuable data and often leverages for product advertising and enhancements. If you don’t want Google or any other search engine to make use of your confidential data, VPN is the best weapon, mind it! In our VPN reviews comparison, we have ranked the VPN service providers keeping in mind the ‘Zero log’ factor. It is very important for a VPN services to keep no or fewer checks on logs, which ensure maximum anonymity and security to the end users. Securing your communication becomes paramount, especially if you are communicating over VoIP (Skype), from a country that is high on online censorship. A VPN can make your VOIP calls secure and free from being tracked by the local administration in all such censored nations. In countries like UAE, KSA, and other middle east regions, the use of VoIP is restricted, while many expats and businesses tend to find a solution to overcome with this restriction. Our listed best VPN providers not only allow users to have private and secure browsing but also give them free access to connect to their loved ones and contacts across the world. Check our guide on how to use Skype from UAE. Activities like Torrent downloading of P2P files or uploading a copyrighted motion picture over the web are likely to alarm the censoring authorities instantly. If proved guilty, you might be compelled to face strict punishments. It would hence be better to avert such hassles with the help of best VPN service provider. Always use best VPN for downloading torrents to go anonymous on file-sharing networks. Numerous other reasons could prompt you to put your money for the best VPN provider. These include bypassing the network of your school or workplace to access emails, social media profiles, library site, etc., protecting your mobile/laptop from getting into the radar of hackers while accessing public hotspots and Wi-Fi networks, and so on. In addition to these, a vast majority of people search how they can access YouTube without any restrictions. So good news is, they can use it without any blocks. Installing top rated VPN connection on the mobile device and PCs can help to access YouTube and other blocked websites in less than a minute. Point-to-Point Tunneling Protocol that depends on various authentication methods like MS-CHAP v2 to provide security. It is one of the very common protocol that you will find in all top VPN service providers. PPTP protocol is basic and not much secured as compare to other VPN protocols. However, this protocol works pretty much awesome for streamers as it is fast and easy to connect. You check read our detailed post on how PPTP VPN works. Layer 2 Tunneling Protocol and Internet Protocol security, when used together, is even more secure than PP2P but comparably slower and often blocked via firewalls. It is to some extent an upgraded version of PPTP, however, not ideal against NSA surveillance By default, L2TP protocol support is available on all top rated VPN services, and it is fair choice for streaming and optimal security measures. It uses OpenSSL library together with SSLv3/TLSv1 protocols to provide reliable and secure VPN connection. OpenVPN protocol is one of the most secure and advanced protocol, however, the configuration of this protocol is a bit tricky for some users. We always recommend our readers to use OpenVPN protocol only as it ensure maximum protection with good speed. Owned by Windows, Secure Socket Tunneling Protocol is natively secure, but does not provide open source advantages like OpenVPN. It is more ideal for someone on Windows operating system. It is by far better than PPTP and L2TP protocol. IKEv2 is not only known for its security, but this best VPN protocol is undoubtedly fast too. It is more like OpenVPN protocol with same layer of protection, however, it still not proven that it can be good for NSA spying. Though the popularity of IKEv2 is more in mobile as it gets preference over OpenVPN. The reason it is so popular on mobile is its intelligent features to quickly resume the connection in case of any disturbance in the Internet. Using an app could help you to choose and configure a suitable protocol automatically. If you are doing it manually, you may use the protocols in the following order: OpenVPN (with UDP and TCP), SSTP, L2TP/IPsec, PPTP. If the connection problem still prevails, talking to your VPN provider is strictly recommended. Check our comparison of all VPN protocols and select the right protocol next time you connect to a VPN. In this case, I connected from UK IP (which was my original) to a USA VPN server. I don’t have support of IPv6 on my ISP, however, if your ISP does then please do check for IPv6 leaks also. If however, the test shows your original IP even after connecting to a VPN, then it means that you have an IP leak. Contact your VPN provider and check if everything is fine with their network. 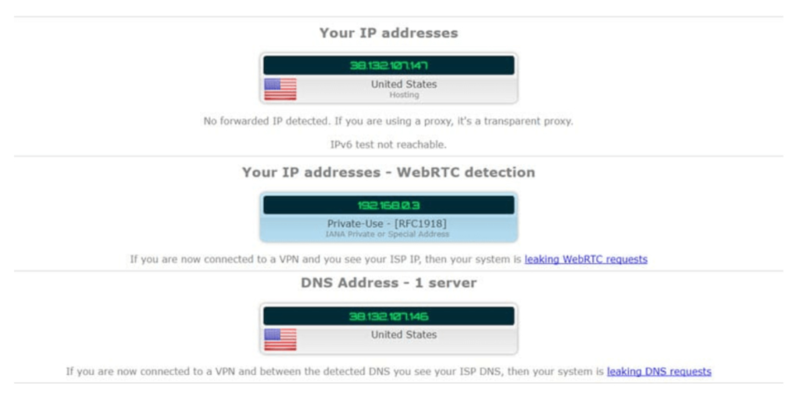 Always make sure that your connection doesn’t encounter DNS leaks which include IPv4, IPv6 and Web Real-Time Communication a.k.a WebRTC. Remember, nowadays most VPN providers automatically connects you to the fastest VPN server closes to your own physical location, but in general, the Fastest VPN server is the one that’s giving you the closest results to that which you got without activating the VPN. We have done a whole research and thorough analysis about VPN speeds and Fast VPN servers in our Fastest VPN Services article. That’s true! The use of VPNs are so diversified that many of us sometimes don’t get to use it to full potential. Here are some of the uses of a VPN service that will allow you to use the service like a pro! Abra-Ka-Dabra Magic: How to Get Best Shopping Deals And Cheap Flights With Best VPN Services? We live in a World where mobile has become a dire necessity for us all. From day-to-day grocery items to buying expensive products, we do everything online, and on mobile mostly. People hardly go out and shop from the physical stores now, the trend has shifted to online shopping. And there is a solid reason behind it – who wouldn’t love to compare a variety of options side-by-side on screen before actually buying it? As per the statistics of BigCommerce, around 51% of Americans shop online than to visit store.. This number indicates that online shopping is on the mount. But there is one question here – can we save some dollars when shop online? Are there any online shopping deals that we can cash? Add products in your cart, and leave. Majority of the e-commerce website works on retention and they offer discounts if some left the cart. So cash this opportunity! Wait for the right season to shop. It means shop on big discount seasons like Christmas, Black Friday, Cyber Monday, or anniversary of the company. You will get good discounts upfront. We are sure that you must be familiar with all the aforementioned techniques except ‘Price steering.’ It is basically a phenomenon where a customer can get discounts based on the location, browsers, and device they are using. Even when you book a flight online, prices do vary depending on your IP location. A research from Washington Post concluded that users see different prices based on the device they are using. To claim maximum discount when you shop online, connecting to a best VPN service will certainly help. You can simply route your IP to US (if not in US) or to any other location to check how much discount you can get. And then enjoy shopping with discount vouchers in your cart. Gaming VPN services are becoming an important tool for gamers as many online gamers get affected by the nuisance knows as DDoS attacks. So, many online gamers who actively participate in gaming competitions tend to use a VPN to anonymize their IP and securing their gaming activities to protect themselves from any sort of hack attacks. But, why would you need a Gaming VPN anyway? We have discussed in detail about the best gaming VPN services which are helping gamers all over the world in protecting themselves from DDoS attacks and reducing their high pings and lags. The above-mentioned extensions are from the premium VPN providers and come as as a free add-on when you purchase an account. Below are some of the free VPN options also that you might want to install on your browser today. Not all the aforementioned extensions have support on all the available browsers. Some might have support for only Chrome, while others have extended their availability on Chrome, Firefox, and even on Safari browser. We recommend our readers to go with the listed best VPN service providers only as free VPNs might sell your data online for monetization purposes. Apart from the VPN providers that we discussed above, our list has other 10 top VPN services that can be trusted as your privacy protector. The following VPN services have a good reputation in the industry and already helping hundreds and thousands of netizens. Ivacy VPN is among the top VPN service provider that is providing military-grade protection to the netizens. Launched in 2007, the company has earned quite a reputation in decennary. It is one of the cheapest VPN service available in the marketplace with loads of amazing features to offer. As a matter of fact, Ivacy VPN was the pioneer of Split tunneling feature which was launched back in 2010. This feature lets you split your traffic with and without VPN. It actually gives you the option to decide which part of your traffic should go through VPN and which browsing activity you’d want to through your ISP. Ivacy VPN hosts a wide range of over 275 servers in 100+ locations. This best VPN service allows unlimited server switching and unlimited data transfer. The best part we like in Ivacy is that it is torrent friendly, and with its smart purpose selection — you can use the best VPN software for streaming, unblocking and other purposes. Ivacy VPN service is fully compatible with Windows, Mac, Linux, gaming consoles and Smart TVs. The service is also available for both Android and iOS and allows five simultaneous connections. Check our Ivacy VPN review for more details. PIA VPN, one of the best VPN service providers that values user privacy to a great level. The VPN service is well known in fighting for the rights of netizens. It is an inexpensive VPN that comes with a strict no logs policy. Private Internet Access has over 3054 VPN servers in 28 countries. The company offers a 7-day money back guarantee and have dedicated customer support for your assistance. PIA VPN offers two advanced VPN features ‘Internet Kill Switch’ and ‘DNS leak protection.’ It is very easy to setup and has natives apps for Windows, Mac, Android, and iPhone. There is no cap on bandwidth and server switches. It has dedicated servers for torrent which allows you to download torrents privately. Though this top VPN service provides remarkable service, however, the only issue we see is that it is based in the United States which comes under ‘Fives Eyes’ jurisdiction making it a bit unfriendly for privacy geeks. 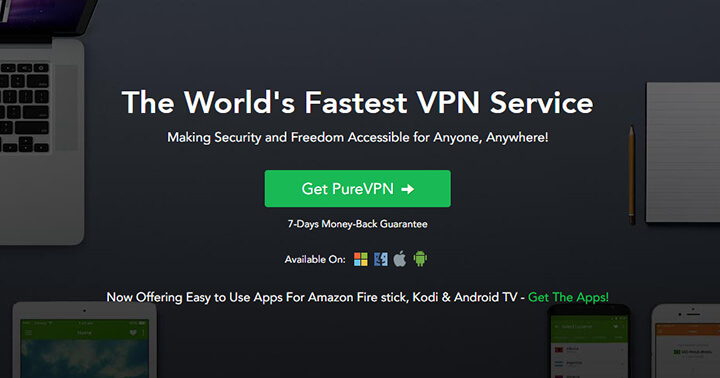 You may check our detailed PIA VPN review to see the tests we conducted for this VPN service. ibVPN is a Romanian-based VPN service working under the umbrella of Amplusnet. The company has started its operation back in 2003 and has been delivering exceptional service since then. ibVPN is reasonably a low-cost best VPN provider with over 140 servers in 53 countries. With its VPN, you also get a free Smart DNS addon which is a raffle for streaming lovers. ibVPN has four different plans, each dedicated to a specific VPN need. It is a torrent-friendly VPN and doesn’t keep logs of browsing activity. In addition, there is no cap on bandwidth and switches. ibVPN native apps are available on all major operating systems and devices. It allows three simultaneous logins with one account and comes with a 15-day money back guarantee. They also have an incredible support team which is available 24/7 to help you with all your queries. 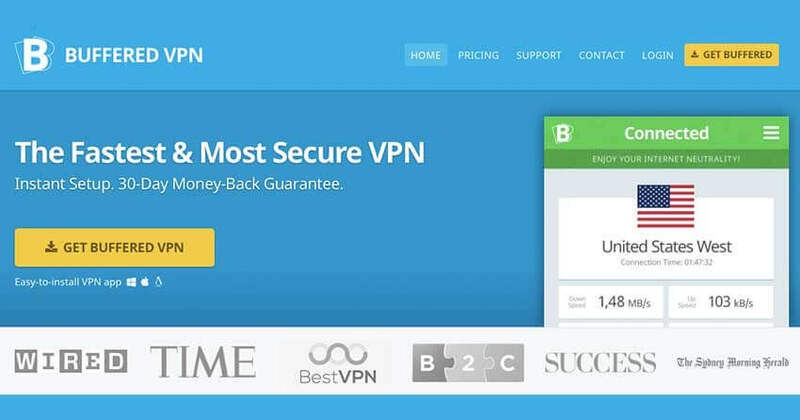 All these features combine make ibVPN one of the top VPN service providers. 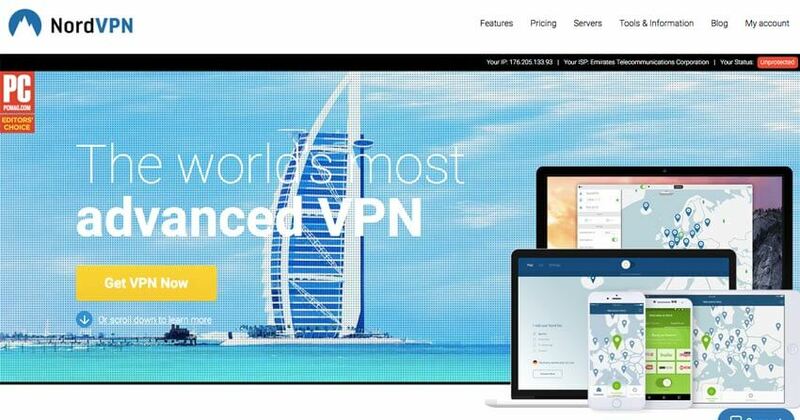 Overplay VPN had made its way to the best VPN providers list after serving millions of people around the globe. The company offers incredibly great features that help day-to-day Internet user in protecting their privacy online. In recent times, the company has developed quite an image in streaming, where its SmartDNS product has taken streaming experience to a new level. Overplay has more than 750 VPN servers in 70+ locations with no cap on bandwidth. The company has very strict logs policy and also allows P2P sharing on almost all servers. Overplay VPN is easy to setup and provides military-grade encryption. This top VPN has apps available for Windows, Mac, Android, and iOS and users can browse anonymously and can access all their favorite geo-restricted websites in mere clicks. The company also gives a five-day money back guarantee and is pocket-friendly when compared to other players in the market. 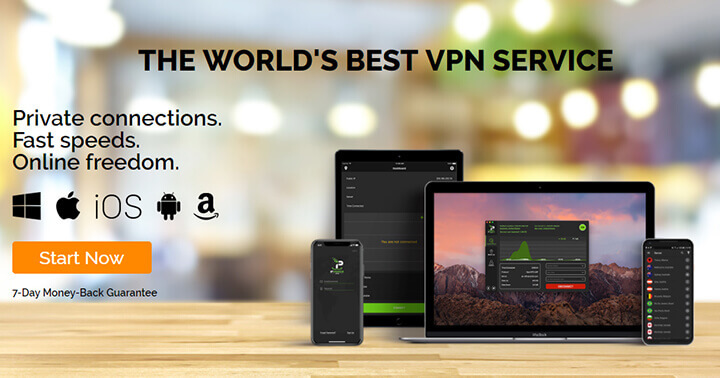 VyprVPN is one of the premium services in the VPN marketplace. The company is based in privacy-friendly zone, Switzerland. VyprVPN is powered with quite remarkable features that make the VPN service a top-notch player in the market. Unlike other best VPN services, VyprVPN doesn’t use third-party servers, they own and manage all their servers in-house. All VyprVPN servers are optimized for speed and performance, makes them one of the fastest VPN provider available today. The company uses highly-secured encryption protocols which ensures military-grade security to end users. VyprVPN has over 700 servers in 6 continents with over 200,000 global IPs. Its VPN Apps are available on Windows, Mac, Android, and iOS. You can use VyprVPN on consoles and Smart TVs also and enjoy uninterrupted streaming. 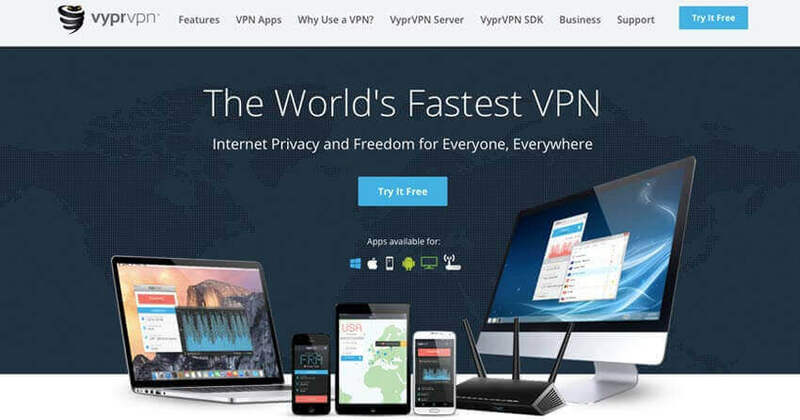 Though VyprVPN has all the attributes of a classy VPN, however, we have some concerns about their logging policy, which is the reason they couldn’t find a top spot in our best VPN service list. Forgot to mention, the company also provides a 3-day free trial to test all the powerful features they have. 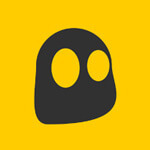 Meet CyberGhost — another Romanian-based web privacy provider hitting our list of top VPN services. Launched in 2011, the company has so far crossed the milestone of helping over 15 million users across the globe. CyberGhost VPN has been engineered and designed to provide maximum security to the Internet users. It not only lets you browse the web anonymously but also provide unlimited access to your much liked region-blocked content. CyberGhost is one of the few best VPN services that deliver exceptional speed while keeping all security protocols intact. It has currently servers in 51 countries with access to over 1000 servers. Unlike other VPN providers, CyberGhost doesn’t put cap on your bandwidth and gives you unlimited switches and bandwidth with the VPN account. It provides some very powerful and advanced features like Kill Switch and DNS leak protection which is worthy of your investment. Servers are optimized for torrents, so you can download unlimited torrents without being spyed. 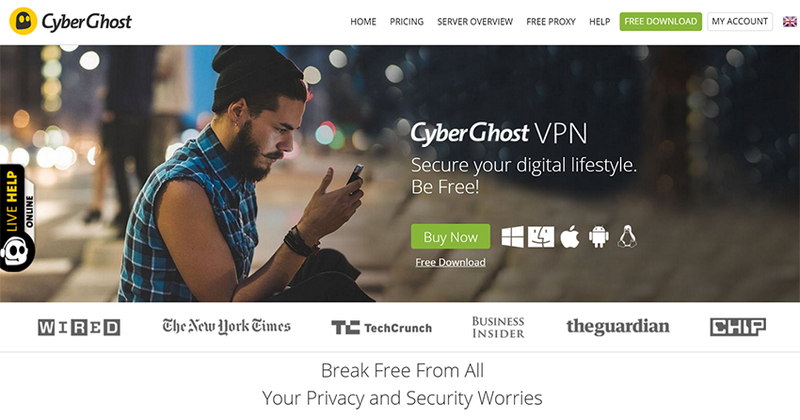 CyberGhost VPN has software and apps available for Windows, Linux, Mac, iOS, and Android. You can also use the VPN on consoles, Smart TVs and even with your routers. Like other top VPN services, CyberGhost allows you connect five devices simultaneously, so not only you, friends and family can also gain benefits of using the VPN. 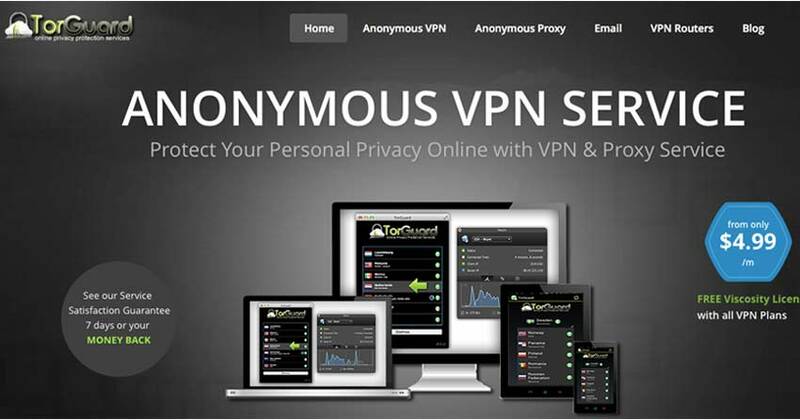 TorGuard VPN gets our vote of confidence when it comes anonymous and safe torrenting. Launched in 2012 on the Caribbean land (West Indies), the company has made its stance of giving protection to web users very clearly. The USP for TorGuard is dedicated to seeders and leechers, and they don’t seem to focus much on streaming services like Netflix and Hulu. With the name, this TorGuard VPN service leaves an impression of part of Tor project, however, on the website they made it clear that they don’t have any association with the Tor project. TorGuard VPN has variety of plans for privacy lovers, though their anonymous VPN plan has everything you’d ever need from a VPN. It has more than 3000 VPN servers in 55 countries, and all servers are optimized to deliver the best performance. TorGuard VPN supports all secured VPN protocols which provide high-level encryption. The company has rigorous log policy which gives their users a relief. TorGuard VPN can be installed on Windows, Mac, Android, and iOS. You can also use TorGuard on Linux, and can even configure on your home router. It also allows five simultaneous connections, so your family and friends will also be covered by TorGuard VPN service. Buffered VPN is an outstanding top VPN service provide that is consecrated to privacy and security. Launched in 2013, this Hungary-based VPN service has been helping Internet users to browse safely and access geographically-restricted content from their location. Buffered VPN has servers in over 46 countries, and they are well-groomed to give bufferless experience to streaming lovers. It provided robust protocols that ensure maximum protection online. There is no cap on bandwidth and server switching with Buffered VPN. The company has decent log policy which is available on the website to read. Buffered VPN apps are available on Windows and Mac only. Unfortunately, Android and iOS users have to install the VPN via OpenVPN software manually. The company is already working on it and soon they’ll release native apps for Android and iOS. The speed of this VPN service is reasonable, and it allows up to five multi logins with one account. Strong VPN is one of the pioneers of industry with quite a reputation of bypassing region-restricted websites. It owns a wide-range of VPN servers spread in 24 countries. You can switch between 680 servers with easy-to-use Strong VPN apps. The service comes in real handy to bypass intense geographical restriction like GFW. Strong VPN offers robust protocols including PPTP, L2TP, SSTP, IPSec, and OpenVPN. Each of the protocol has its own uniqueness and purposes. From fast connectivity to high-level encryption, this best VPN server has covered your back at all time. Though the company started its operation in 1995, however, it is not the highly-acclaimed VPN service provider as of today. Strong VPN openly states that email address is the only information they store, which is used to provide login to each VPN user. The speed of Strong VPN is also reasonable for average browser, however, for gaming professionals, we would not recommend the use of this VPN service. 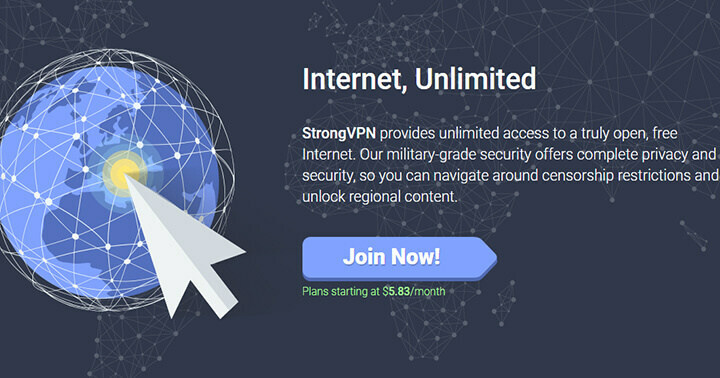 Strong VPN offers three different pricing plans. Their monthly plan costs $10; however, if you go for 12-month plan, then you’ll have a price reduction close to 50%. All their VPN packages come with free DNS, which is ideal for a lot of streamers. Windscribe VPN is relatively a newcomer in the market with a mission to provide secure web browsing round the clock. The company was founded in 2015 in Canada, and in over two years they have made quite a reputation online. Windscribe free VPN is so popular in the market where it doesn’t limit the user much on bandwidth. Unlike other top VPN providers, you won’t be charged for extra bandwidth. 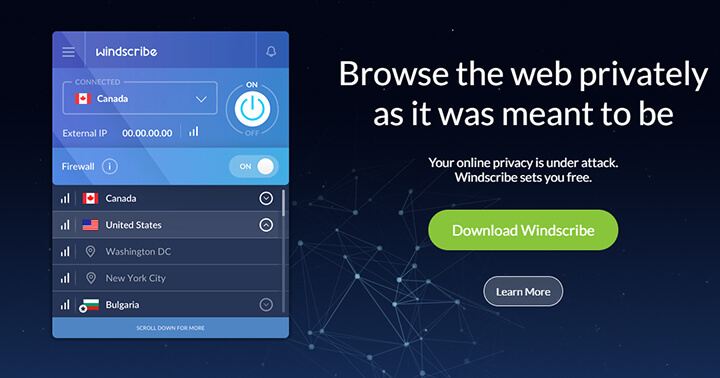 Windscrive VPN comes with 10GB bandwidth with a free account, which is sufficient for average Internet user. With free account, you do have limited servers and features, however, as we see, Windscribe pro account is endued with all what you need in a VPN service. The best thing we liked about Windscribe best VPN is that it is good for downloading torrents. The company has already deployed servers in over 50 countries – which sounds a good number. Windscrive VPN uses AES-256 cipher to provide maximum encryption. The company has a fair logs policy that keeps user activity private at all times. Windscribe best VPN service has native apps available on Mac, iOS, Windows, Android, and Linux. Users can also install Windscribe extension for Chrome and Firebox and make their browsing private. The above chart clearly exhibits that VPN service gets an upper hand in the game. We are not against the other alternatives discussed above, however, if you are serious about privacy, then opting for a top VPN service would be a smart move here. Gadgets developers, security experts and software providers are working hard to make the devices and apps secure for the users, but they can’t provide everything. You will need to be extra vigilant yourself, like using an Anti-Virus. VPN comes in the same category that lets you browse the internet on unsafe networks securely. Unfortunately, this part of our duty as a responsible netizen is often overlooked. Even if you don’t use it every moment of every day, a VPN is a fundamental tool that everyone should have at their disposal. A VPN is getting more and more essential as more and more devices are getting connected. So, stay safe and get a best VPN service for yourself. As a team of expert, we recommend Express VPN as one of the best VPN providers in the market. We use it daily and never have any issues that ended into vulnerabilities.